IIT Haiti is located in a northern suburb of Les Cayes, Haiti. 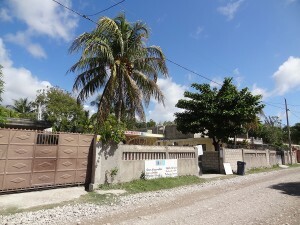 Les Cayes is the third largest city in Haiti. It is just a five minute drive north of Les Cayes, right off of Route Nationales #7. The school building has wireless internet and two computer labs with ten computers in each. The town of Simon has around 10 elementary schools and 5 secondary schools, but only one computer lab out of all these schools. IIT Haiti’s location is perfect for giving these students an opportunity to learn how to use a computer. Most students in Haiti would never learn to use a computer until they get to college.